Get ready — there’s a whole new way to do genealogy. You may have already heard about a new feature 23andMe is offering its customers, called Relative Finder. With the launch of our new Ancestry Edition, we wanted to tell you more about it. Don’t just settle for two branches of your family tree. Relative Finder is a breakthrough feature that uses autosomal DNA to help you find relatives from all parts of your family tree. 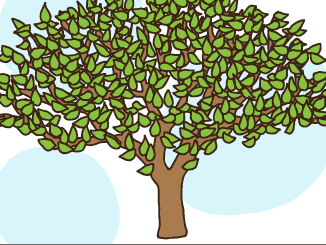 With Relative Finder, you can grow your family tree like never before, and discover relatives you never knew you had. Relative Finder is available to people who buy the Ancestry or Complete Edition of the 23andMe service. How is Relative Finder Different? Until now, DNA genealogy tests could only tell you about a small part of your family tree, because they only used DNA from the Y chromosome and mitochondria. By using autosomal DNA, Relative Finder can trace any ancestor, no matter where they are in your family tree. What’s so special about autosomal DNA? The autosomal chromosomes, which make up most of our DNA, have the unique property of randomly mixing in specific ways when passed down from parent to child. The result is that we are a mosaic of DNA segments that we inherited from our ancestors. With Relative Finder, find relatives from all branches of your family tree! To give an example of the benefits of using autosomal DNA for learning about your ancestors, let’s consider your four grandparents. When looking at the Y chromosome (if you are male), you can trace your lineage through your paternal grandfather. When looking at the mitochondria, you can trace your lineage through your maternal grandmother. But this is only half of your grandparents! By using autosomal DNA, you can trace the lineages through all four grandparents. Extending this back 10 generations, instead of two ancestors detectable via Y and mitochondria, autosomal DNA can give you access to over 1000 ancestors and their descendants. Relative Finder takes advantage of autosomal DNA by looking for shared segments with other 23andMe customers, which indicate a common ancestor. We list your closest matches first, but also let you sort and filter on other criteria you find important. Interested in relatives living abroad, or a particular Y or mitochondrial haplogroup? We can help you find them. Take your time — users with European ancestry often have more than 100 matches, and users with Ashkenazi Jewish ancestry often have more than 1000! As the 23andMe database grows, you’re likely to get even more matches. Once you’ve found an interesting match, you can take the next step and contact them directly. Go ahead: Introduce yourself to that fifth cousin who lives in Macedonia, or your ninth cousin who lives just down the street. With Relative Finder, you can discover more about your ancestry than you ever thought possible! Up to now, we’ve been testing and tweaking Relative Finder extensively, both internally and with feedback from genealogy enthusiasts. Starting today, we are opening up that testing to all 23andMe customers who want the opportunity to experience Relative Finder. During the remainder of this beta period, participants can instantly contact any potential relatives also participating in the beta. By participating in the Relative Finder Public Beta, you will get early access to this revolutionary new feature. In return, we hope that you will send us feedback, suggest improvements and — most importantly — share your success stories. We hope you enjoy taking your family tree to a whole new level with Relative Finder. After all, you never know who you might find.